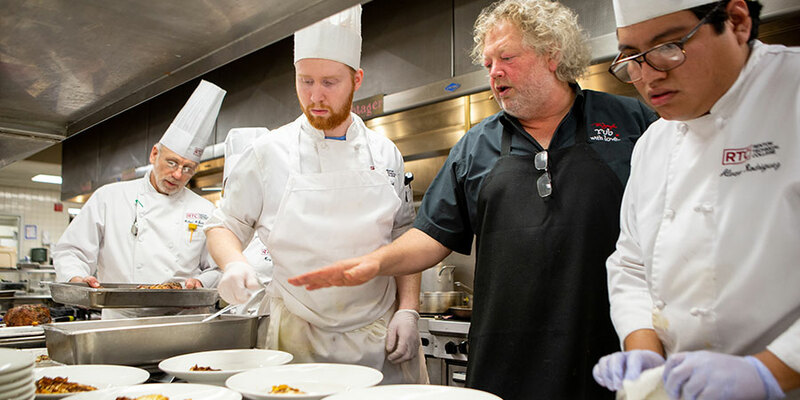 In addition to demonstrating and cooking a sumptuous four-course dinner at the RTC Foundation’s Norma Cugini Celebrity Chef event, he also visited students in class to show them how to help with dinner – and to share his story. 30 years later, he is a James Beard award-winning chef who helped define Pacific Northwest cuisine. He opened his first restaurant, the Dahlia Lounge in 1989, now he and his business partners have 13 acclaimed restaurants; the Palace Ballroom event space; the Hot Stove Society cooking school; and a product line including rubs, sauces, mustards, and knives. “You can do anything you put your mind to if you get up and show up every day,” he said. 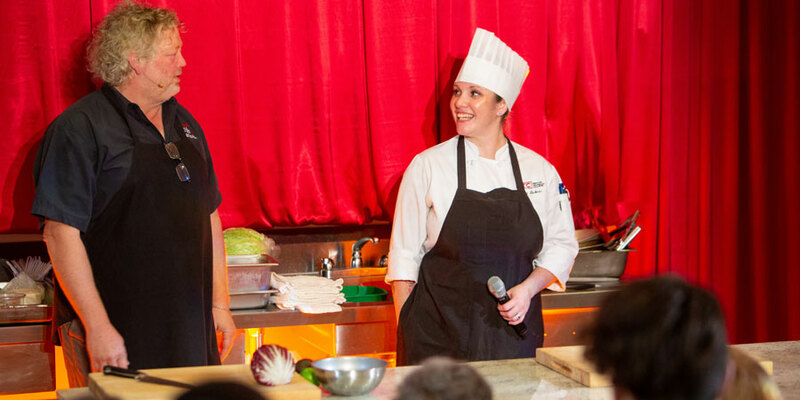 The Celebrity Chef event raised more than $28,000 to support scholarships for culinary students.